Is this more evidence a production version of the UX Concept is around the corner? These days it seems like it’s impossible to turn on the TV or go on the Internet without finding enough bad news to darken the most optimistic person’s day. This time around we have some good news, at least if you’re as big a fan of the Lexus CT200h as we are. A report by Car and Driver now claims that Lexus will be killing that hybrid off next year by opting not to bring out an updated version come 2018. The CT200h’s timely death is hardly something to be surprised about. It was frequently bemoaned by, well, just about everyone including Lexus. C/D rated it two out of five stars and we previously classified it as the worst car in the Lexus lineup, a runt even by lesser Toyota’s standards. That reflected in the sales numbers. 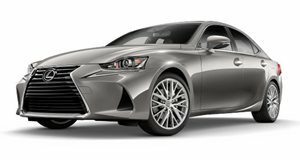 Since going on sale in 2011, Lexus has never cracked 18,000 annual sales and in 2016 it struggled and moved only 8,903 units. Suffice it to say, customers were well on their way to strangling the CT200h to death if Lexus didn’t put it out of its misery. Competitors like the Mercedes GLA easily trumped the CT200h with 24,545 sales during the CT200h's downturn. At least the little hybrid, spawned using the bones of the previous generation Toyota Prius, had fuel economy on its side. Many of its competitors, the Audi A3 and Mercedes GLA included, have no hybrid alternatives but gas has stayed cheap enough to avoid making that a factor. And then there’s the Lexus UX, that strange-looking mini SUV that broke cover last year in Paris and was slated for production in the near future. With a hybrid option expected to become available for the compact crossover, the few buyers interested in trading in their CT200h for an upgrade will likely be steered in the hybrid UX’s direction. If the CT200h has been on your wish list for some reason, fret not because the low sales numbers give us good reason to believe there will still be a few 2017 models left on dealership lots once the extermination is over.